Picturing Pakistan's Past: The Beatles, Booze And Bikinis : The Picture Show A columnist set out to show younger Pakistanis what they missed: Photos reveal a Pakistan of yesteryear, inclusive of Islamic mores, and tourists with a taste for the illicit. 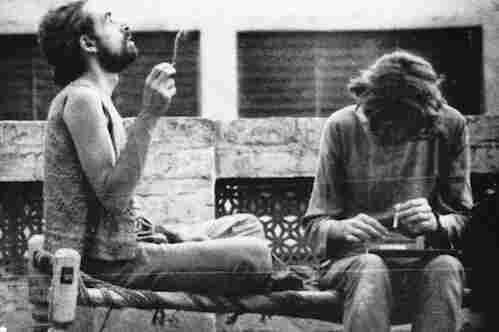 Western tourists smoke hashish on the roof of a hotel in Peshawar in 1972. Pakistan was an important destination along the "hippie trail," a popular route for Western backpackers that ran across Turkey, Iran, Afghanistan, Pakistan and India, usually ending in Nepal. Then-first lady Jacqueline Kennedy visited Pakistan in 1962. 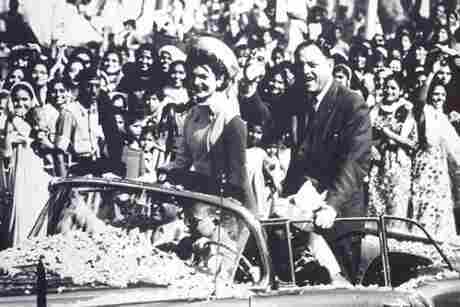 Here she is seen riding in a convertible with the then-ruler of Pakistan, Ayub Khan, through throngs of people in Karachi. Western tourists sunbathe on a Karachi beach in the early 1960s. Rakhshanda Khattak, shown here in 1972, was one of Pakistan's leading fashion models in the 1970s, before quitting and leaving the country in 1979. 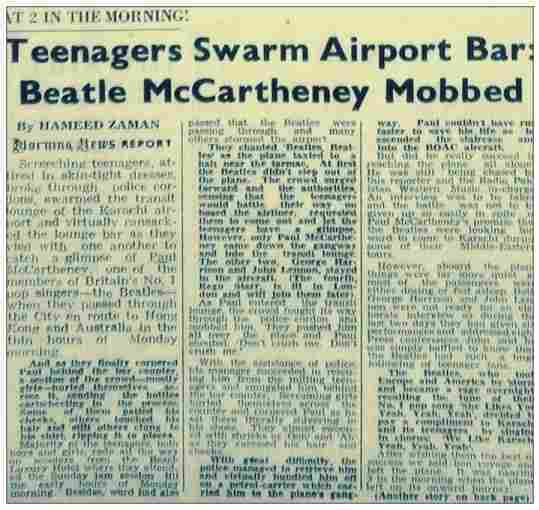 A 1963 clipping from Pakistan's Morning News describes how Pakistani pop fans gate-crashed their way into a bar at the Karachi Airport where The Beatles were having a drink. The band had arrived in Karachi en route to Hong Kong. The 1975 film Dulhan Aik Raat Ki (A Bride for One Night) was "for adults only." Such racy features were popular among middle-class Pakistanis in the early 1970s. A German tourist stands outside a hashish shop in 1976. 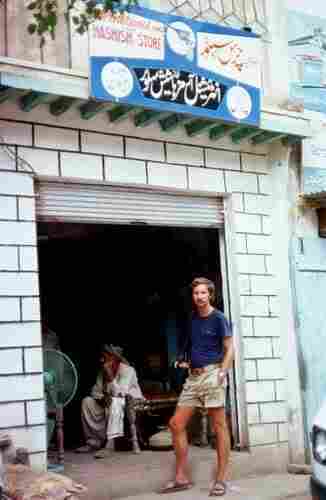 Shops selling hashish sprang up in northwestern Pakistan when young Western tourists began to pour in from Afghanistan in the late 1960s. 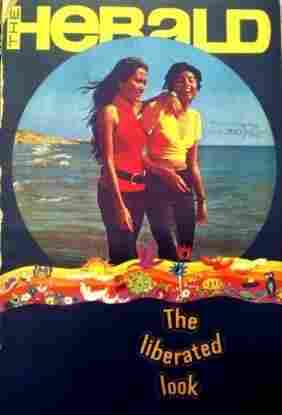 The women on the cover of the May 1972 issue of Pakistan's The Herald look like they could be in Miami or Athens. The magazine initially focused on the changing fashion and social trends of urban Pakistani youth. 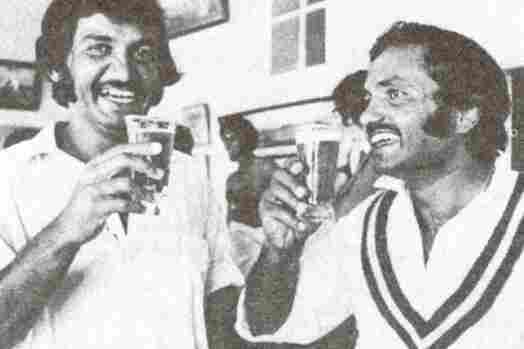 Pakistani cricket batsman Sadiq Muhammad (left) and former Pakistani cricket captain Mushtaq Muhammad share a beer in Sydney in 1977. Later that year, alcohol would become illegal for Muslims in Pakistan. Pakistan today is a conservative, Islamic country, but it was a far different place in its younger days. In the 1960s and '70s, Pakistan's elite, many of them educated in the West, could publicly indulge in more liberal acts, including drinking alcohol. Pakistan was also part of the "hippie trail," from Turkey to India, which young Westerners traveled. Once a major stop on the backpacking route, Western tourists don't exist in the Peshawar that I have come to know through my visits to family in the northwest corner of Pakistan, near the border with Afghanistan. If my parents saw "hippies" around hashish shops on their city's streets, they never mentioned them to me. The only Western women I've come by in Peshawar are in ads for talcum powder or maxi pads — their bodies often draped in an ominous shroud of black paint. Turns out this experience is common among millennials in Pakistan. "Most of the stories about a more open and liberal Pakistan have come down to the young, post-'80s generations of Pakistan from their parents as oral anecdotes," Nadeem F. Paracha tells me in an e-mail. "But since most young Pakistanis have only known a more troubled and repressed Pakistan, they were incapable of picturing it." Paracha, a columnist for the Pakistani newspaper Dawn, spent two years scouring newspaper libraries and the personal photo collections of family, friends and acquaintances for images that reveal a more open society. The pictures he found make Pakistan's past seem like a completely foreign place. What caused this great divide? Paracha offers one explanation: "We as a people and state began to crumble inwards." According to Paracha, beginning in the 1970s, a deep suspicion of foreign powers and minority faiths began to set in that gave way to a more subtle, Islamic version of Mao Zedong's Cultural Revolution. 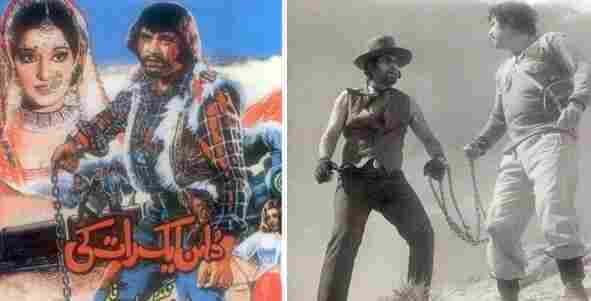 From the images Paracha collected, it's clear that a lot has changed for Pakistanis in the past few decades. In a four-part Web series called Also Pakistan, Paracha includes a newspaper clipping that describes how The Beatles' Paul McCartney was engulfed in a frenzy of fans at an airport bar in Karachi. In today's Pakistan, alcohol is officially banned except by permit for non-Muslims, and it's hard to imagine that any global music sensation would pass through the country if he could avoid it. While the pendulum might not swing back anytime soon, Paracha says presenting these photos has sparked optimism among young Pakistanis. "It has given them a sense of pride, and more so, hope," he tells me, "that if Pakistan had deep roots in things like religious extremism, military rule and corruption, there was still an important part of the country's history that radiated a more confident, progressive, tolerant and joyous Pakistan."